A 1966 Ferrari 275 GTB/C is among the latest headline consignments offered at the Gooding & Company Pebble Beach 2017 sale, to be held August 18-19 at the Pebble Beach Equestrian Center in California. The Ferrari will be joined by a one-off supercharged Mercedes-Benz, one of the last Bugatti Type 57 chassis made and a Maserati with competition history. Starting with the 166 MM Berlinetta of 1950, Ferrari offered competition-specification GT cars to customers who demanded automobiles that were equally at home on the road or track. In 1953, Ferrari introduced the 250 series of competition cars, which culminated in the 250 GTO. When the FIA refused to homologate the mid-engine 250 LM for the 1965 season, Ferrari decided to build three special competition cars based on the recently released 275 GTB. These cars featured 250 LM-specification engines and chassis lightened in every conceivable way. Due to the success of these three 1965 cars, Ferrari produced a limited series of 12 similar cars for the 1966 season. The result was the 275 GTB/C — the “C” standing for competizione. These GT cars included the best weight-saving techniques. The bodies were among the thinnest aluminum shells ever built for a Ferrari, the windows and rear screen were made of lightweight Perspex instead of glass, and Borrani aluminum-rimmed wire-spoked wheels completed the package. 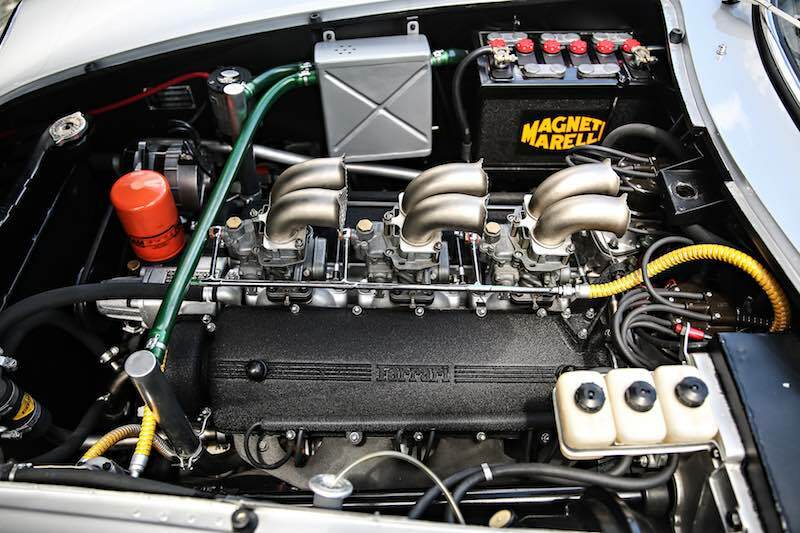 The 3.3-liter V-12 engine featured high-lift camshafts, 250 LM-type valves, competition pistons, a redesigned crankshaft, and Weber 40 DFI/3 carburetors. In addition, the engine was also set up with dry sump lubrication in place of the standard wet sump road-going system. Completed in July 1966, this GTB/C, chassis 09051, was the sixth example built and was one of eight specified in left-hand drive. It was originally finished in the color scheme of Argento Metallizzato (Silver Metallic) with black leather upholstery. This GTB/C was raced in Italy between 1966 and 1970 with numerous class and overall wins captured by its first two owners — Renzo Sinibaldi and Alberto Federici. 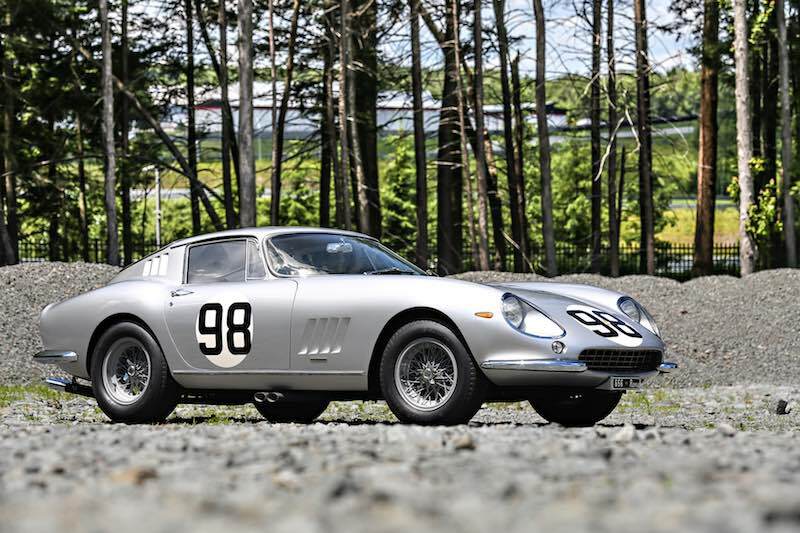 Since its active racing career, the 275 GTB/C has been a fixture in private collections in the UK and the US. In 2004, the GTB/C was sold to the current owner. In early 2007, the collector entrusted the car to Wayne Obry’s Motion Products Inc. in Wisconsin. MPI refinished the car to its original 1966 racing livery, and 09051 was displayed at the 2007 Pebble Beach Concours, where it scored 99 points and was awarded a Second in Class trophy. This was the last time this car was exhibited. In 2013, the Ferrari returned to MPI, where, in addition to a complete re-restoration of the bodywork, the car was mechanically rebuilt. Offered with its original chassis and engine, the 1966 Ferrari 275 GTB/C is estimated to sell for $12,000,000 – $16,000,000. The S-Type 26/180 was the brainchild of Dr. Ferdinand Porsche. Producing 180 HP, S-Types had a 6.8-liter inline 6-cylinder engine that was mated to a Roots-type supercharger, which engaged when the accelerator was fully depressed. Only 146 S-Types were produced between 1927 and 1928, a fraction of which survive today. The 1928 Mercedes-Benz S-Type 26/180 Sports Tourer (Estimate: $5,000,000 – $6,000,000) offered at Gooding’s 2017 Pebble Beach auction, with its custom coachwork by coachbuilder Gläser, and is believed to be a one-off design. Presented in a yellow body with swooping black accents and fenders, chassis 35920 has been with the same family since 1964 and is a veteran of numerous concours, tours and rallies. The owners did not just take their Mercedes-Benz out for events, but would often use it for family errands, making it a common sight around the owner’s hometown. Though this car has been driven and enjoyed with regularity over the last fifty years, it has also been dutifully maintained and was recently restored by the D.L. George Coachworks Ltd. of Pennsylvania. The 1939 Bugatti Type 57C Cabriolet was manufactured in Mosheim, France, in August 1939, but was not initially stamped with a chassis number as sales of new chassis had stopped due to impending WW II. 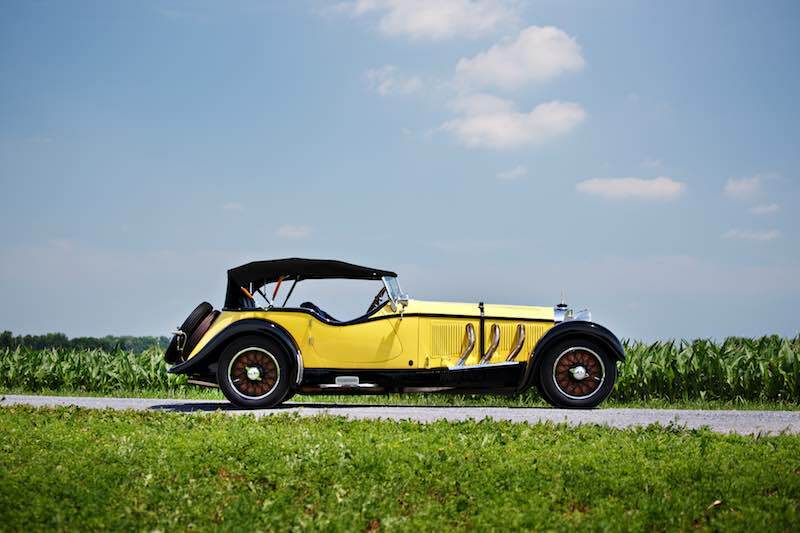 The car was eventually numbered when the chassis was sold to a friend of Jean Bugatti in 1941, by that time the factory had moved to Bordeaux, France, and the business was being operated under German occupation. It is believed to be that 57841 is the last Type 57 chassis number assigned. 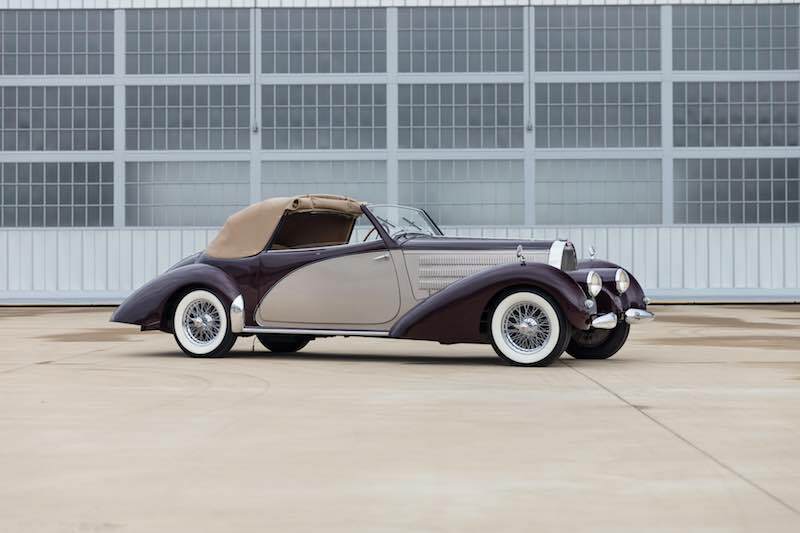 With coachwork by Letourneur et Marchand, history chronicled by Bugatti historians and coming from ownership spanning over 30 years, chassis 57841 is estimated to fetch $1,500,000 – $2,000,000. One of the manufacturers of voiturette racing cars was the small firm established by the Maserati brothers in Bologna, Italy. When they released the Maserati 6CM in 1935, the car broke new ground in design with its independent torsion bar front suspension and supercharged twin-cam inline six engine. 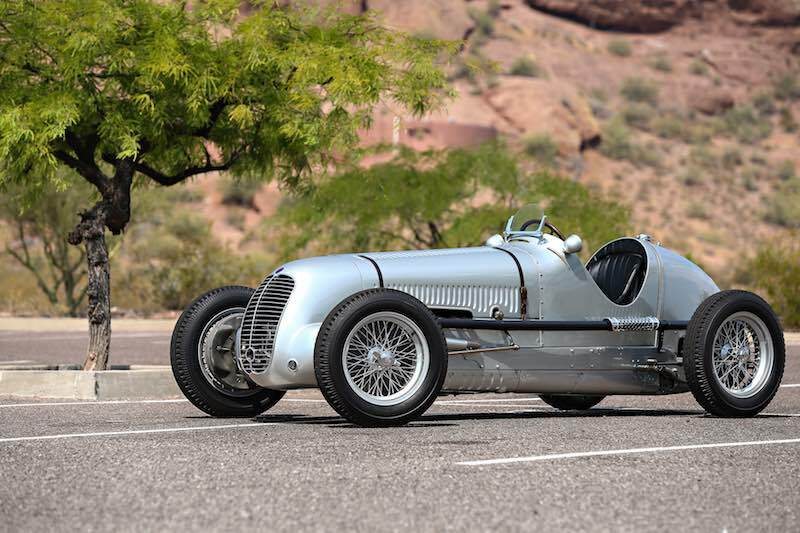 The 1937 Maserati 6CM presented at the Gooding & Company Pebble Beach 2017 sale, chassis 1540, has a well-documented history and was sold new to Giovanni Rocco, a racing driver from Naples, Italy. Rocco proved his driving abilities with this car at the 1937 Targa Florio where he set the fastest lap time of the race. This 6CM then went on to be enjoyed by multiple owners, including collector Raymond Fielding, who cared for 1540 for over three decades beginning in 1969. Today, the car is presented in a silver livery and was displayed at the 2008 Pebble Beach Concours. This car has been carefully documented by Dr. Adolfo Orsi Jr., and is eligible to compete in many events, including the Goodwood Trophy, the Monaco Historic Grand Prix, and many other racing series in Europe and the United States (Estimate: $1,000,000 – $1,400,000). For additional information, visit GoodingCo.com.